Ohhh Lulu...: Ooh la la Pin Up Sew-Along... Grading Your Pattern Up Or Down. 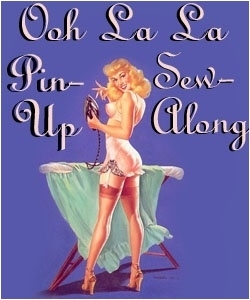 Ooh la la Pin Up Sew-Along... Grading Your Pattern Up Or Down. Anna wrote an amazing post on grading your corset pattern up or down. 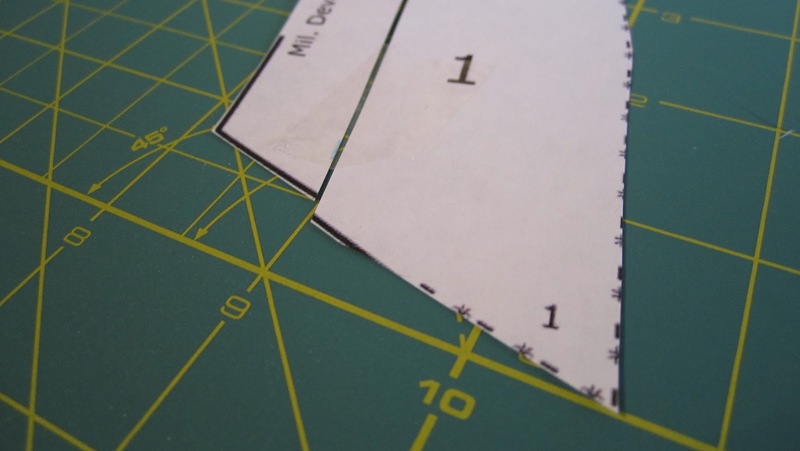 You can easily apply her method to any pattern that you are looking to resize. 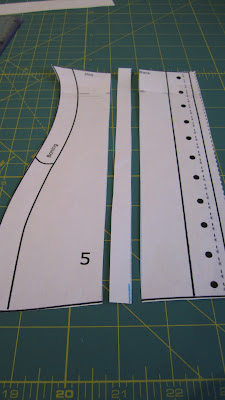 Following Anna's directions, you can also easily extend the length of your corset for those with long or short waists (like little ol' me!) 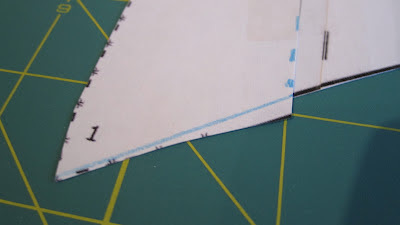 by cutting and extending, or shortening your pattern up or down, and re-curving your lines. 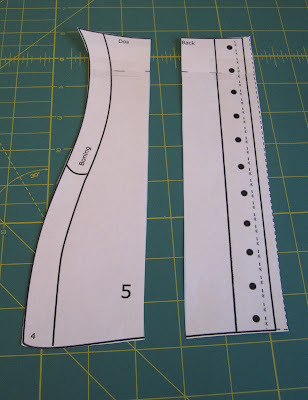 For those of you that don't fit into the size range of people I had available to test the corset pattern on, then you're in luck because I am at your disposal! 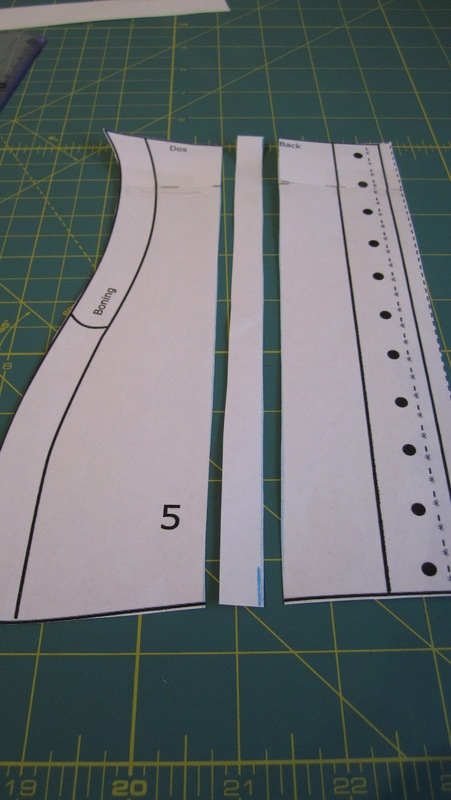 First I will show you how to grade to a smaller size, then I'll show you how to grade to a larger size, though they are very similar. Keep in mind that you should really make a muslin of this pattern, and you should REALLY make a muslin if you've made adjustments like these. 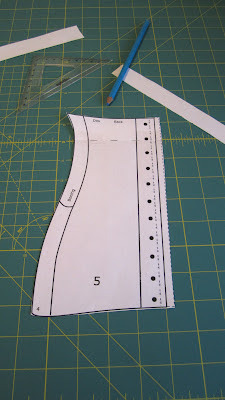 Today we're going to use reader "E's" 25" waist as our starting point. 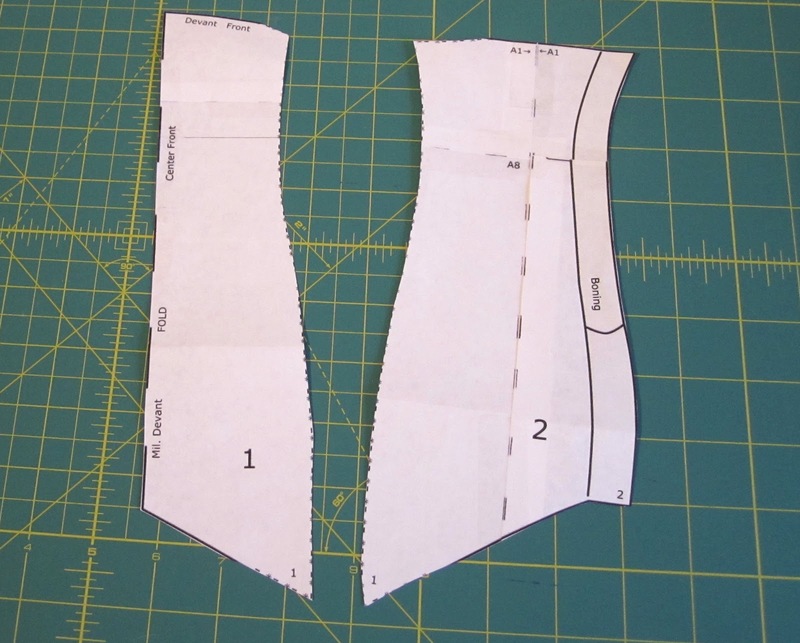 The smallest size on the pattern is a 29" waist. (29"-25"=4"). We'll need to grade the pattern down 4" to make it her size. 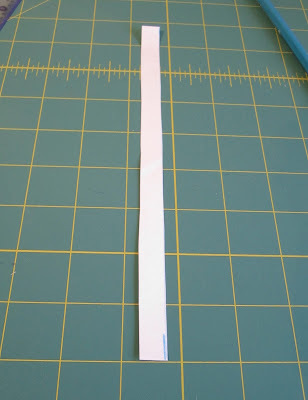 I like to use centimeters for this (don't worry, there are centimeters on every ruler and yardstick out there) not because I live in Europe right now, but because it's just easier than doing a bunch of fractional math all the time. 4" is 10 cm. 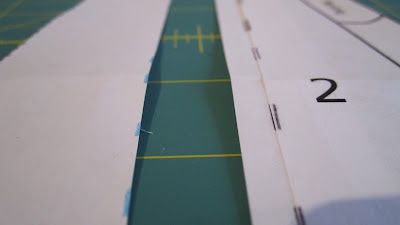 (roughly) Now luckily there are only 5 pattern pieces so we know that we need to distribute the 10 cm we're removing from the pattern at 2 cm per piece. But wait! 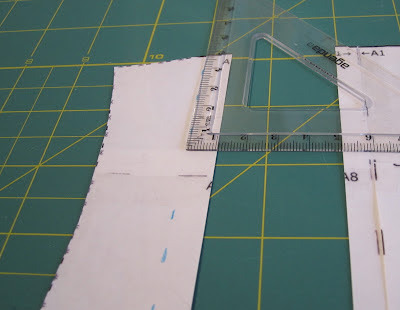 These pattern pieces are cut double, 2 of each, so it gets easier! 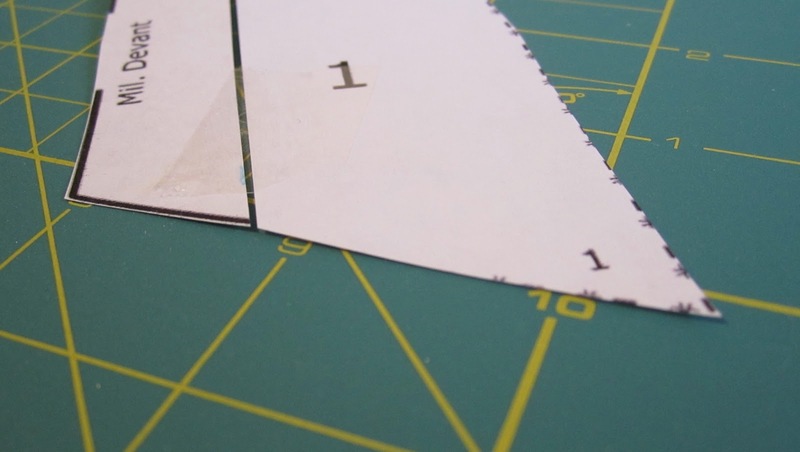 We're just removing 1 cm from each pattern piece. 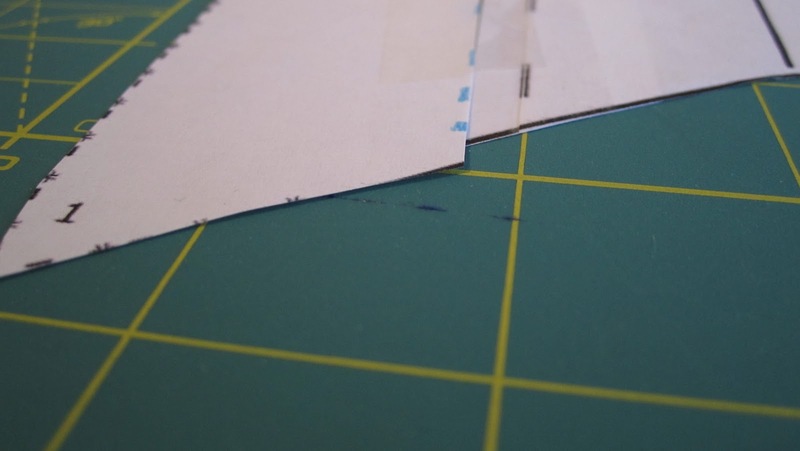 Technically there's just one of the center piece and it's cut on the fold, but we can still distribute changes the same, as both ends of the piece will reflect the change. Now we get to the cutting! I'm just going to show you how we'll do this with pieces 1 and 2 but you'll do the same with all of them. Start by cutting the pieces vertically right down the center. Measure the amount that you want to remove, in this case it's 1 cm. Note: if you are removing more than 1 cm form each piece, I know it's more work but you'll get better results if you split the pattern pieces into thirds and remove a bit from the inside of each. The same goes for grading the pattern larger than 1 cm per piece. 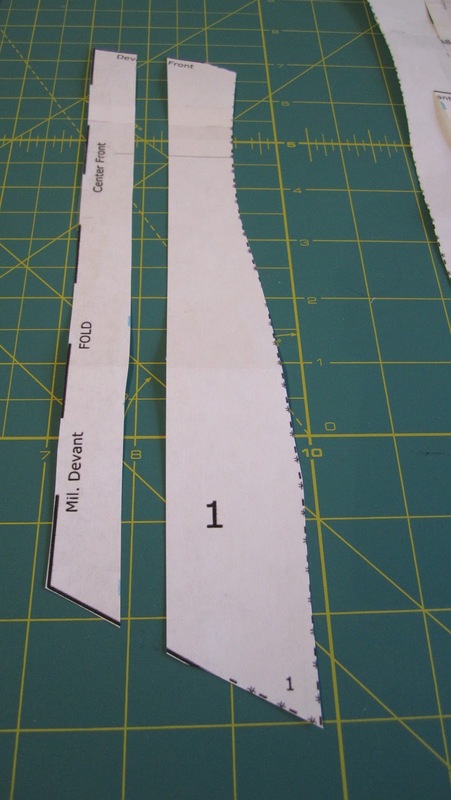 Next, trim off the amount to be removed from the piece you marked and tape the two pieces back together lining up the top. 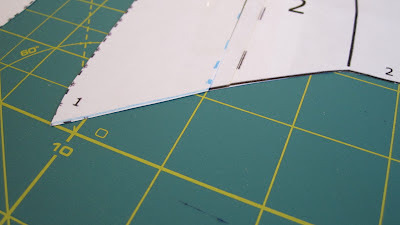 At the bottom, you will have a little bit of jagged edge where the pieces don't quite match up. This end is a straight line so just line up a ruler between the tip of the pattern piece to the inside where it should match, mark, and then trim. 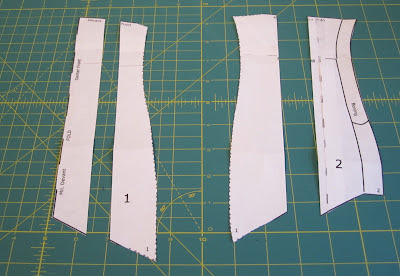 Do the same with each pattern piece. To grade the pattern piece larger is a really similar process. Reader "A" has a 37" waist and also asked this question. That's lucky because it's another 4" difference between the size she needs and the largest size on the pattern. Using the same math from above, we know that we need to add 1 cm to each pattern piece. I'm going to use piece # 5 to illustrate. As with grading down, to grade up we split the pattern piece vertically down the center. 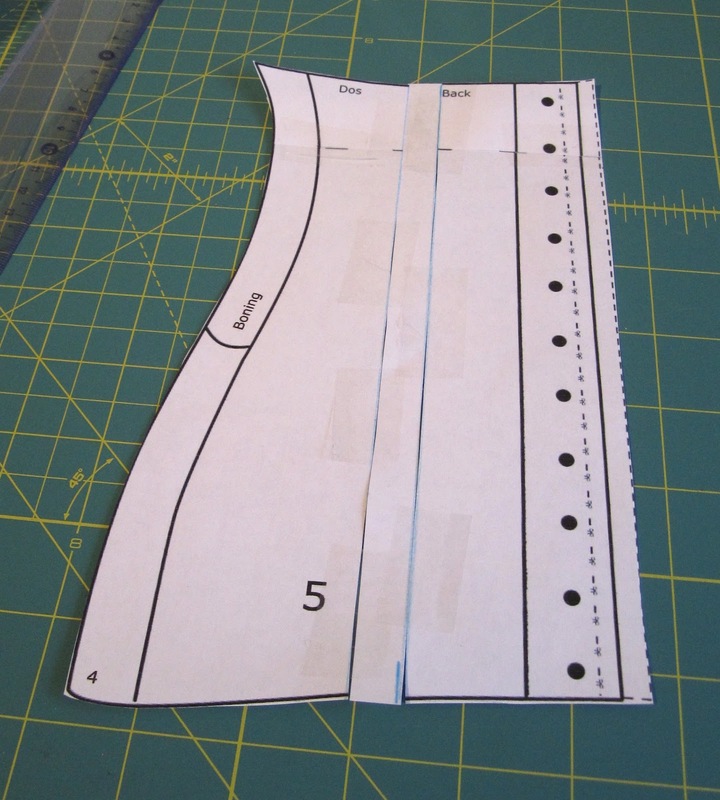 When I cut out a digital pattern, I always keep a handful of my paper trimmings from taping them together on hand for alterations like this. I have measured and cut a strip 1 cm wide. 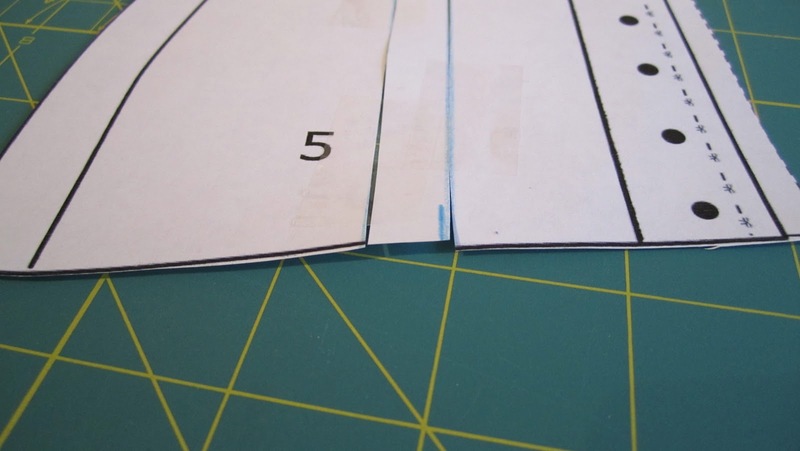 Place the piece in between your split pattern pieces and tape it back together. 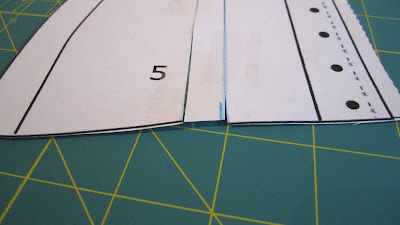 Trim smooth the jagged edges and you're ready to do it to the other 4 pieces.